This week’s photo challenge asks us to consider sharing something historic. Patti Moed writes, “History can be personal or public. It can last for a moment, a decade, or a century. It is local, national, or international. It can be a monument, a relic, a person, a place, or a memento.” Her challenge is punctuated by a gallery of images from around the world that focus on historic places, people, and times. You can read her entire challenge post here. For my challenge response, I have chosen to review one of the many historic places I’ve visited since rekindling my interest in photography. 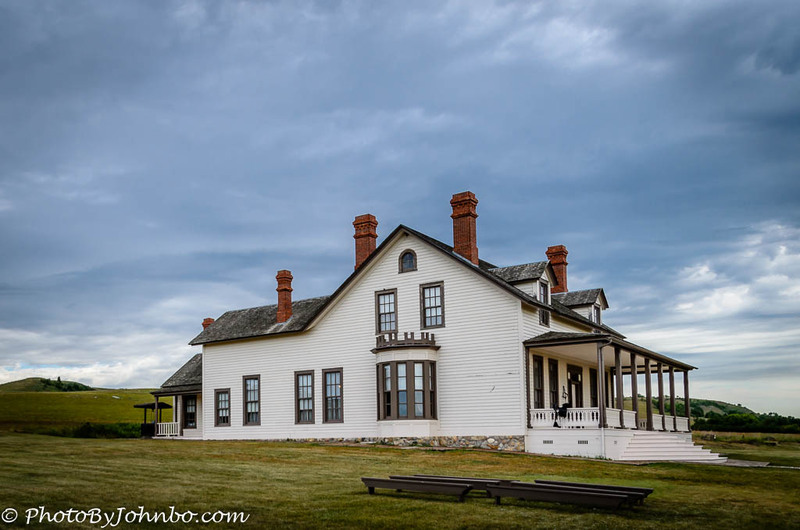 The large house in the opening photo is open to visitors of Fort Abraham Lincoln State Park near Bismarck, North Dakota. It was the home of General George Armstrong Custer and it was from this home that he departed with the men of the Seventh Cavalry as they rode into history and met their final fate at the Battle of the Little Big Horn. 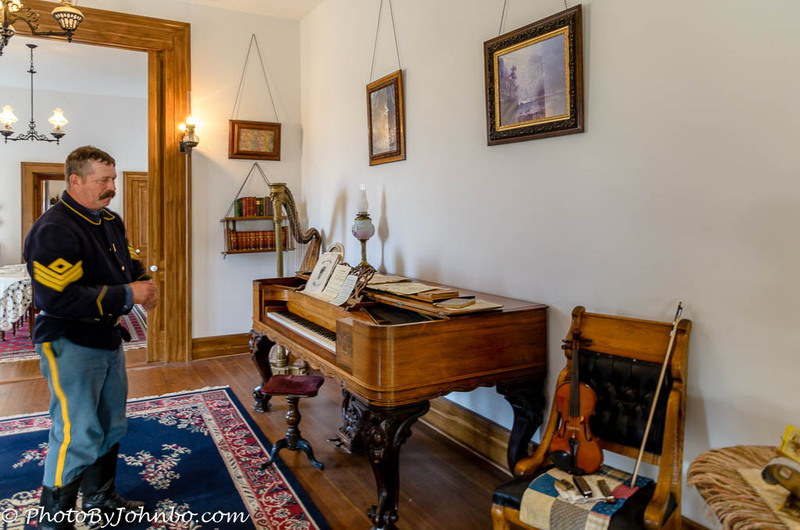 The home is on display with period furnishings of the time including many pieces originally belonging to General Custer and his wife, Elizabeth (Libbie) Bacon Custer. 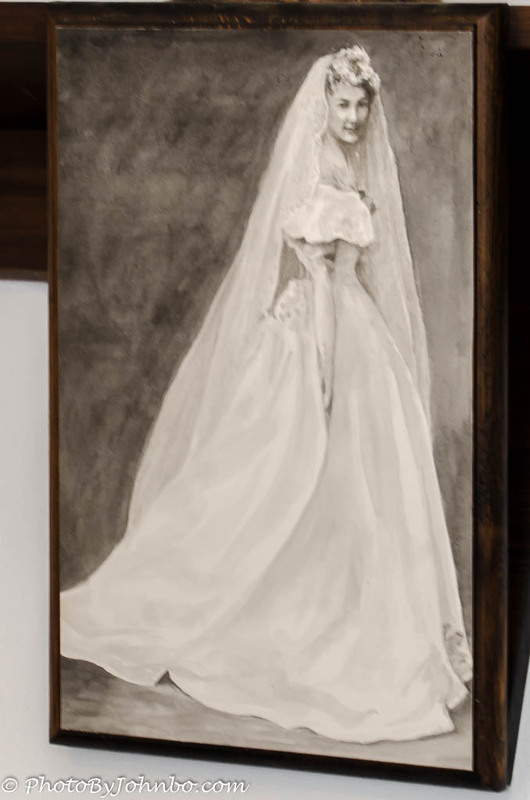 A pencil sketch of Mrs. Custer on her wedding day is one such item. Volunteers at the park dressed in period costume bring to life the events of those days when townspeople were invited to visit and enjoy the company of General and Mrs. Custer. 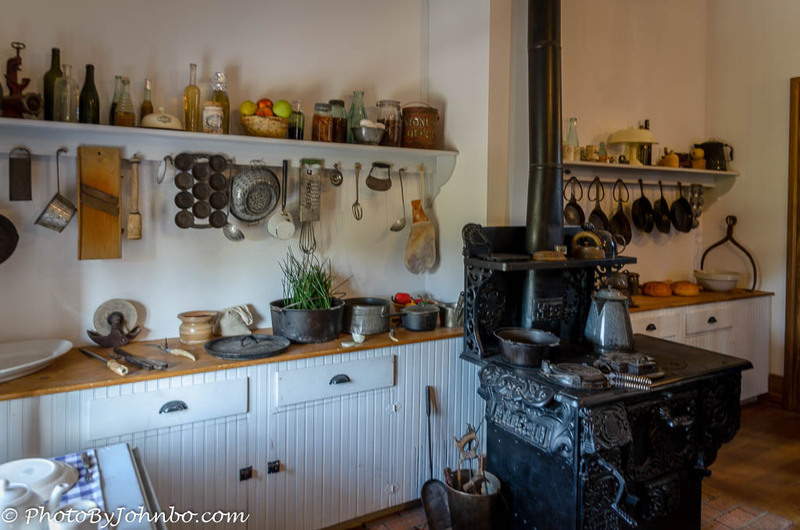 You can visit the house on a self-guided tour, but for a small fee, you can join in on the two interpretive tours that I found were well worth the little they cost. At this writing, for $8 or less, an interpretive pass provides admission to the Custer House Tour and a tour of the On-A-Slant Indian Village when scheduled. The fort features several reconstructed buildings that were originally active from around 1872 until Fort Abraham Lincoln was decommissioned in 1891. After Congress authorized the expansion of the fort in 1873, the fort housed three companies of the 6th and 17th Infantries and six companies of the Seventh Cavalry. General Custer was the first commander of that enlarged facility originally known as Fort McKeen. 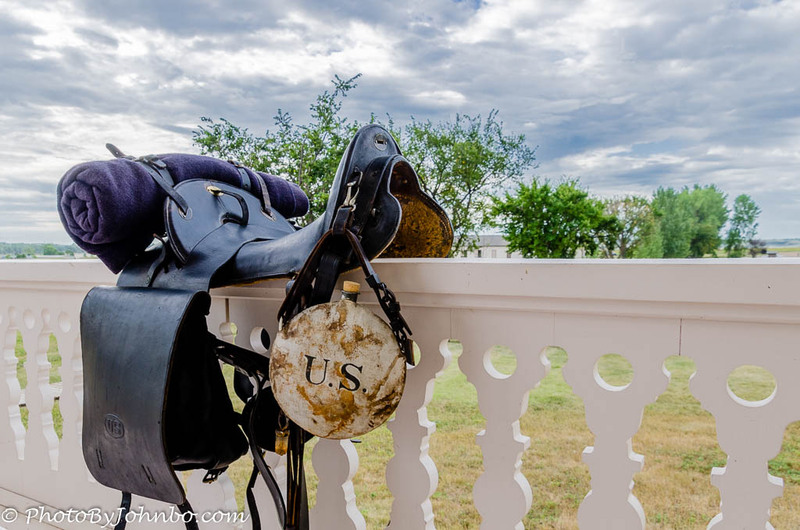 The interpretive tour allows visitors to see the Commander’s quarters and the interpretive guides add the human context to the objects on display. The photos above are featured along with a larger gallery of images captured at the Custer House in a post I featured awhile back. You can find more photos and details here. Hi, John. I’m glad you joined the challenge. This looks like a great visit–for history enthusiasts. The wedding photo is marvelous, and so is the kitchen! I just noticed that I forgot to mention you by name when I referenced the original challenge post. Oops. I’ve fixed that. 🙂 Thanks for a great challenge and a reminder of one of the more interesting historical places I’ve visited. Another interesting place to visit in North Dakota! The photo with the saddle I especially like.